This whole experience so far has just been nothing short of a roller coaster. There are days when I feel like I can conquer anything that I lay my hands on. So liberating and empowering. Then, there are days like today... Especially today... When the obstacles are so insurmountable and the deadlines are so demanding that it seemed like no matter what I did or how hard I tried, I just couldn't get a win.... Not one. It's kinda sad, really. It's times like these when I really do have no choice but to surrender. But is that even a bad thing? At this point, I draw hope and strength by focusing on the grander scheme of things. Today wasn't my day at all but tomorrow is a New Day and I am even more determined to strive till the end. Hence, the decision to write a blog post today... Blogging and talking about Food just lifts my spirits more than people know, to be honest. Anyway, apologies for the melancholy of this post. Back to the recipe. 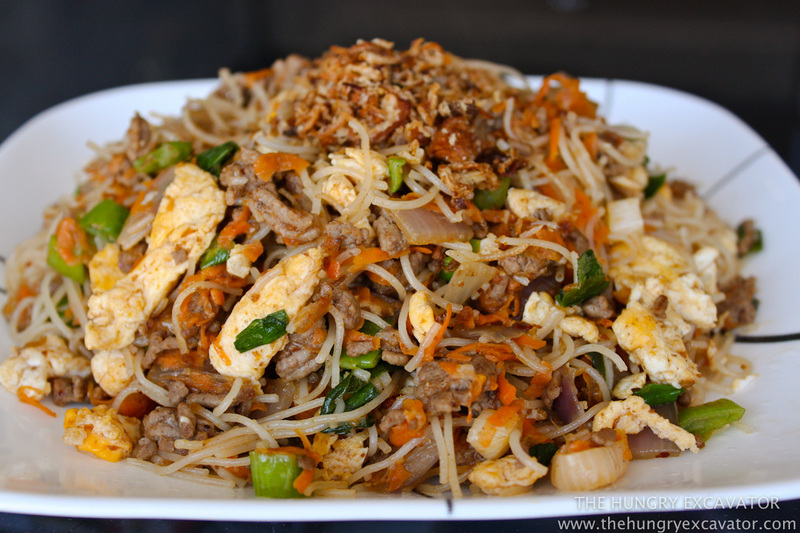 This XO Fried Noodle dish uses one of my favourite ingredients to have in my kitchen: The Lin Lin XO Sauce. This is one of those items that you can be sure to find in my fridge 365 days a year. My family loves it so much that Mum even buys it home to Malaysia to use it to cook for the rest of the family back home. I enjoy that the flavour is deep and rich whilst balancing the sweetness and saltiness perfectly well. Downright delicious to eat. 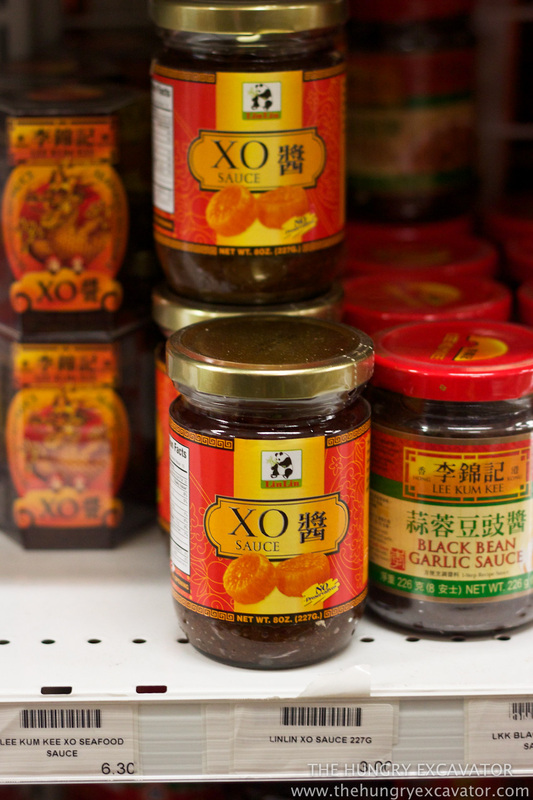 Plus, it's always cheaper than any other XO sauces in the aisle too. 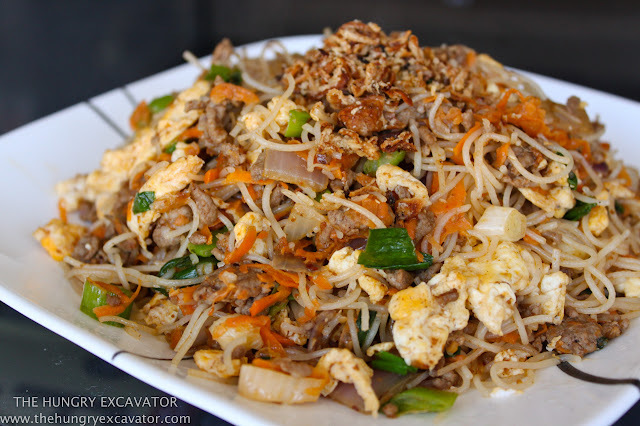 I've been making this XO Fried Noodle dish in massive batches for a number of years, whether it's for a potluck I'm attending or during exams in university when I wouldn't leave the house for days. Besides using the Lin Lin sauce for this dish, I also use it similarly for fried rice, or Chinese eggplant dishes or even as a dipping sauce when I have hot pots or steamboats. I hope you give this recipe a go. It's definitely an old favourite of mine. Take care. 2. Heat up a wok with the oil on high heat. Once hot, add the eggs and salt and scramble the eggs with your spatula until cooked. Dish and set aside. 3. In the same wok, fry the onions until fragrant. Stir in the minced meat and fry until almost cooked while breaking up the meat with your spatula continuously (so that it doesn't lump together). 4. Add in the drained noodles/rice vermicilli and carrots. Stir in half of the sauce mixture. Stir everything until evenly coated. Sometimes, doing this with chopsticks might be easier. Stir in remaining sauce until completely even. 5. Add the scrambled eggs and chopped spring onions before giving it a final stir. Serve while hot and garnish with fried shallots, if using.